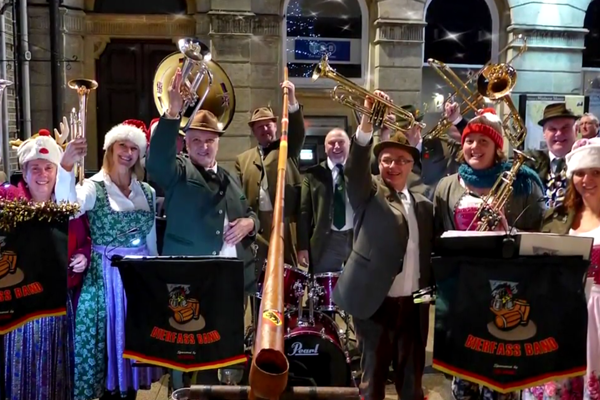 Bierfass is a group of Dorset musicians playing a unique mix of polkas, waltzes, drinking tunes combined with British pop and other well known songs. The result is a foot stomping, thigh slapping, singing and dancing oompah experience! Dressed in traditional costumes the twelve piece band consists of trumpets, trombones, euphoniums, sousaphone, horn and percussion. Audience participation plays a major part in the band’s performances with music performed on a blacksmith’s anvil and an alpine horn.